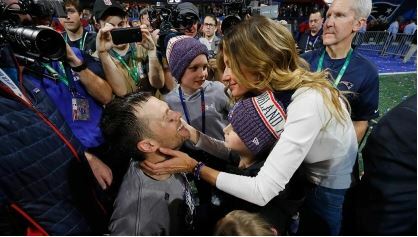 Tom Brady says his wife Giselle Bunchen is a “good witch” and that she tells him the magical sayings and practices he must say and heed in those seasons she senses he is destined to once again win a Super Bowl Championship. I’m not sure whether to file this under ‘Shared Text’ or ‘Faustian Deals You Don’t Want to Make.’ It isn’t a ‘shared text’ story per se because it doesn’t include any explicit references to Harry Potter. I suspect, though, that the idea of a beautiful “good witch” gets no little support from the Harry Potter and Fantastic Beasts film franchises. And the idea of Tom Brady having sold his soul to the Devil to continue winning in a Dorian Gray like fashion? I’ll leave that for more serious football fans and heresy hunters than I am.